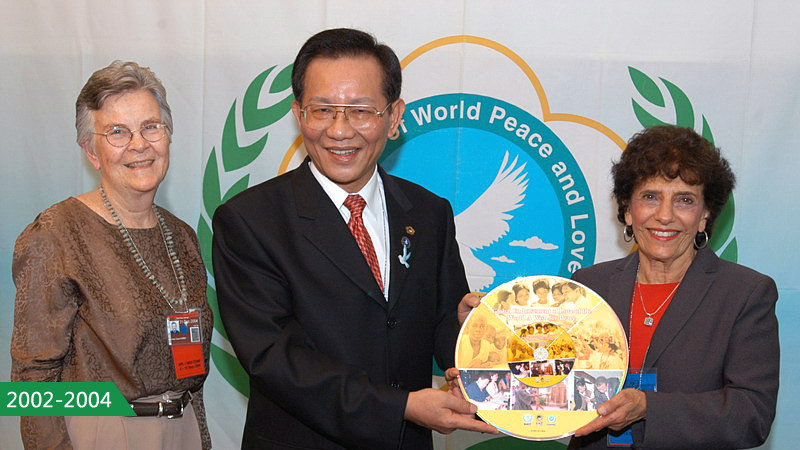 In response to the United Nations Human Rights Education Decade (1995-2004), Dr. Hong initiated the Global Endorsement of Declarations for Human Rights of World Citizens and Peace in 2002 and led FOWPAL members to Africa and America for cultural exchange and promotion of the endorsement activities. A large number of presidents responded. As of 2004, 2 million people from 158 countries endorsed. In the same year, the results were sent to the United Nations.